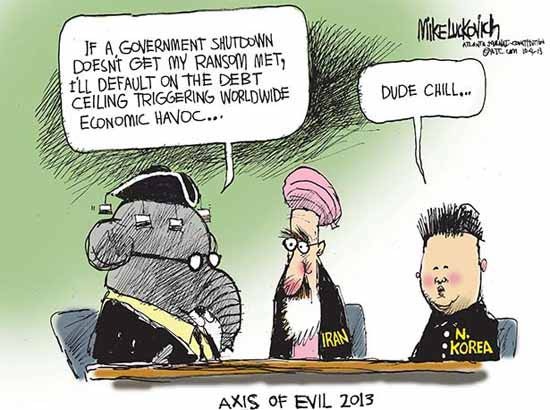 The Republican Right Wing Extremist Tea Party continues to hold the US Government hostage. No one knows what is going to happen next (my prediction). As long as we maintain a sense of humor about this absurd situation I think we will have a fighting chance so……. OK…..maybe this one is too close to the truth to be funny!